Lavallette officials say they are willing to mount a fight over a proposed plan by Verizon Wireless to install “small cell” infrastructure throughout the town – a technology that will allow for the eventual deployment of a 5G high speed network – though they conceded they may face an uphill battle following a Jan. 14 federal order. Lavallette is one of a handful of municipalities nationwide to be selected to receive 5G infrastructure. 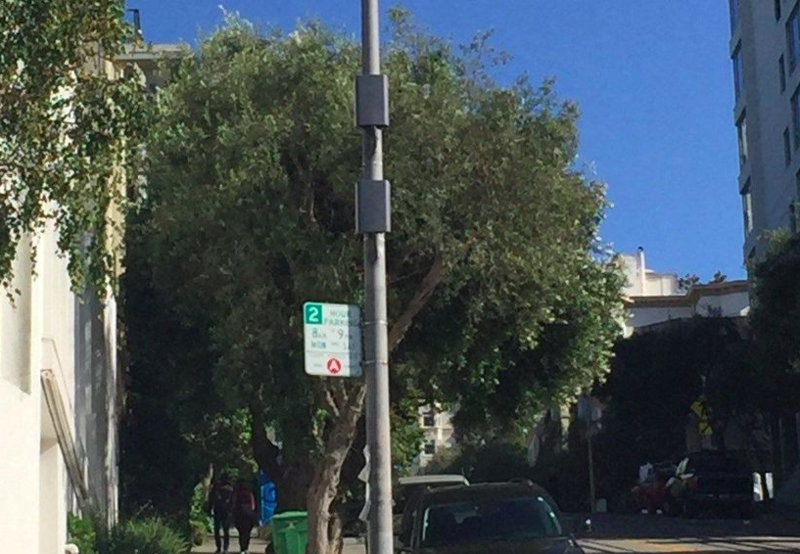 The technology is based around the idea of “nodes,” also known as small cells, which are smaller versions of traditional cellular tower antennas that operate closer to the ground and in close proximity to each other. The nodes can be used to deploy 5G mobile networks, which industry sources say will allow for a host of technologies, including television, data and phone communications to be delivered wirelessly. A cable box, for instance, would be replaced by a small box that would receive a full suite of channels wirelessly from a utility pole or street light up the street. A number of residents in town have been protesting the proposal and urging the borough to fight the telcom company, raising concerns that the nodes may be unsightly and lower property values, and could pose health risks due to radio frequency emissions. Those two arguments, however, may specifically be excluded from being considered by a court due to an edict from the Federal Communications Commission. Lavallette officials hinted that they may utilize land use ordinances and existing laws governing utility poles and easements to fight the network deployment, however Mayor Walter LaCicero said he would not discuss the strategy publicly since reporters and members of the public were in the room during a borough council meeting Monday night. In theory, such a discussion could tip off Verizon as to the types of arguments that may be proffered in court. Verizon held a public information session in Lavallette last week. During that meeting, the company said it planned to deploy the nodes in town during 2019, but were otherwise silent on a schedule for construction. 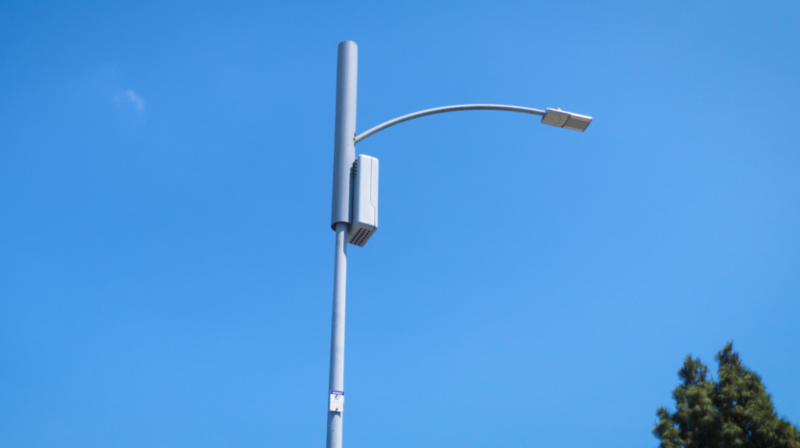 Verizon is one of a host of companies that are expected to deploy small cell nodes as part of 5G network deployments in New Jersey, and the company may find its regulatory path bolstered by recent FCC decisions. The council’s first step in trying to prevent Verizon’s efforts will come in the form of an ordinance largely based off a similar measure put into place in Sea Isle City, in Cape May County. The council introduced that ordinance Monday night, however copies were not immediately available. Shorebeat has filed a request under the state’s Open Public Records Act to obtain a copy. The ordinance will be the subject of a public hearing and final vote at a future meeting. A group of residents have squarely opposed the network construction. Their chief argument, health concerns, is expected to be a non-starter thanks to the FCC’s rulemaking process. Another resident asked if the borough could argue in court that the presence of the small antennas would reduce property values, but officials acknowledged that would be difficult, if not impossible, to prove. The FCC has also ruled that limiting network deployment by way of blocking easements is not allowed. Lavallette, however, is unique in that the majority of its utility poles are owned by the municipality rather than a private company, which could factor into an eventual legal duel with Verizon. The deployment of 5G networks has made headlines across the nation recently. Most significantly, a major Chicago health system announced it would be the first to fully engage an AT&T 5G wireless system within its hospitals and offices. Verizon’s CEO, last month, delivered the keynote talk at the influential Consumer Electronics Show in Las Vegas, focusing on 5G technology. The hoopla, however, has been tempered by health concerns, mainly those articulated in a letter to the FCC from a group of scientists who called for a moratorium on the deployment of 5G technology. Also raising eyebrows is an investigation that was recently initiated by the newly Democrat-led House Energy and Commerce Committee which ordered the FCC to produce records related to its decision to preempt local control over network deployment. LaCicero said the next meeting of the borough council may be moved to Lavallette Elementary School due to wide public interest in the issue.